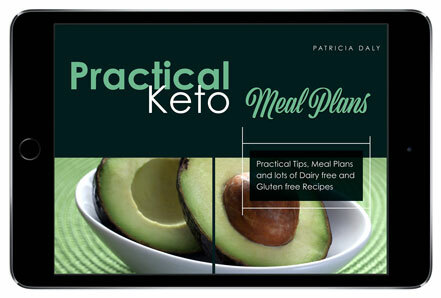 Patricia Daly is now offering two diet cookbooks specifically geared toward the ketogenic diet. 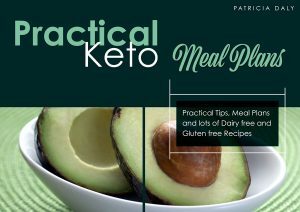 Patricia is a certified nutritional therapist and has extensive experience in designing meal plans for people using the ketogenic diet. 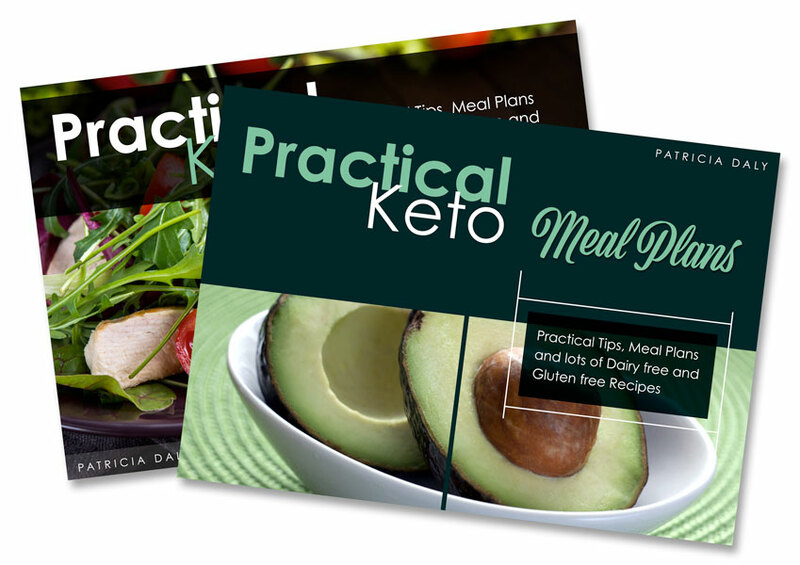 Each eBook provides 14 days of meal plans with recipes with nutritional counts for each meal. 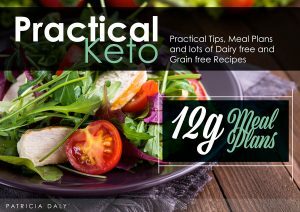 Every recipe is dairy free and fits the fat, protein and carb ratios for the ketogenic diet protocol. This eBook is geared for you if you have already started lowering your carbohydrate intake. 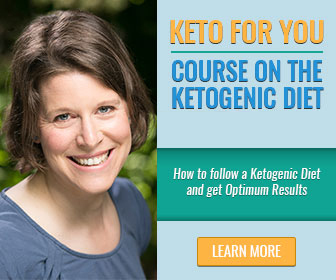 You are at the beginning stages of implementing a ketogenic diet and need more knowledge, recipes and specific meal plans. Daily net carbohydrate intake starts at 38g and reduces to 12g a day over a 14-day period. The Practical Keto Meal Plans eBook is in Acrobat PDF format. It will be delivered as a downloadable PDF file via a digital link in an email. 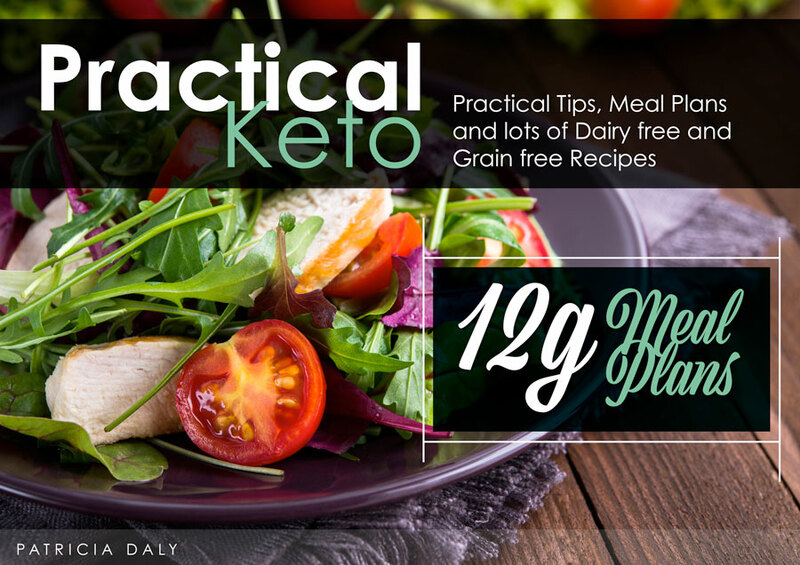 Maybe you also followed the meal plans in “Practical Keto Meal Plans”, my first eBook, and successfully reduced your carbohydrate intake to 12 grams a day. But now you’re stuck and you’re not sure how to maintain a carbohydrate level that is that low in a healthy, nutritious and enjoyable way. 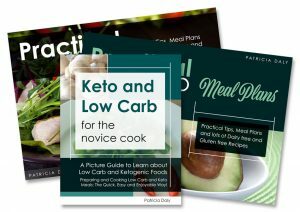 So, if you’re an advanced “keto-er”, this eBook is exactly right for you! 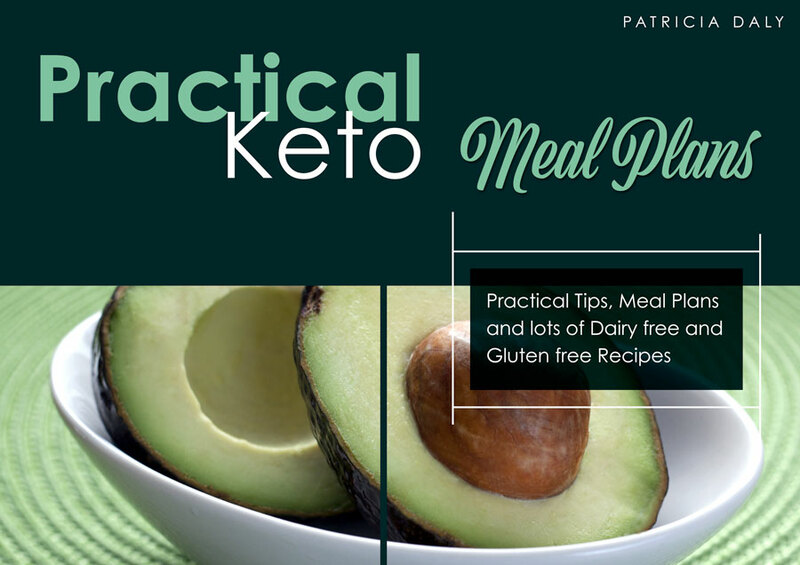 The Practical 12-Gram Keto Meal Plans eBook is in Acrobat PDF format. It will be delivered as a downloadable PDF file via a digital link in an email. Buy the bundle with both eBooks at a great discount so that you’re equipped with a month’s worth of recipes and meal plans! Both eBooks are in Acrobat PDF format. They will be delivered as a downloadable PDF file via a digital link in an email. Buy the bundle with all 3 of my eBooks at a great discount so that you’re equipped with a month’s worth of recipes and meal plans as well as my picture guide for easy reference! All 3 eBooks are in Acrobat PDF format. They will be delivered as a downloadable PDF file via a digital link in an email.